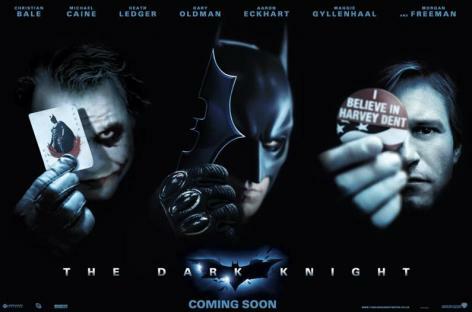 For my money, The Dark Knight was one of the top movies of 2008. Apparently most everyone agrees with me judging by the box office gross and the fact that IMDB rates it as the 4th best movie OF ALL TIME. It's a no-brainer that with the success of the Heath Ledger vehicle that a third installment should be coming our way. Director Christopher Nolan has not confirmed he will be making Batman 3, but that hasn't stopped the rampant internet speculation of whom would be playing whom in the next film. Today there was news from a UK source (The Sun) that Eddie Murphy is being considered for the role of the Riddler and Shia Lebouf is on tap to play Robin. Fortunately this was all fabricated by The Sun and is not true at all. As far as I'm concerned, Eddie Murphy's career died with this movie. And while I am actually a Shia fan, I think putting Robin in this new wave of Batman flicks is a BAD idea. Any other creative casting ideas out there? Don't you think David Silver is too old to play Robin? I do. How about Chace Crawford? Valid point. He would be about 36 or 37 at the time of the next movie. I don't know of this Crawford character because I don't watch Gossip Girl (ensuring another annual renewal of my Man Card). If we're going younger and not Shia, I would throw Jim Sturgess from 21 out there. He's 27 and could fit the role. Johnny Depp for Riddler. Also, Christian Bale has publicly said that he won't be in a Batman where there's a Robin.